Home LISTEN! SWTOR Escape Pod Cast 60 – Conquest is a Harsh Mistress! 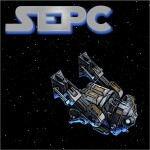 SWTOR Escape Pod Cast 60 – Conquest is a Harsh Mistress! This week @AIESema, @MaxTheGrey and Astromech EPC-60 talk about Conquest now that 8 weeks have passed. We look back on how guild seem to be attacking Conquest, what we have found tends to work and what doesn’t and some variations on getting points and other Conquest related rewards. We also cover news for the week from SWTOR in general and from our guild, Alea Iacta Est. SWTOR Shadow of Revan Expansion and 12x XP!